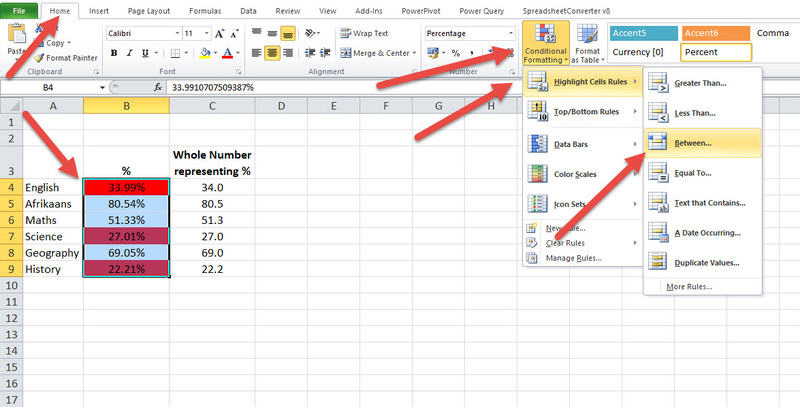 One of the most common practices in Excel is to change (manually) the colour of a cell based on what is in the cell. So if you are doing school reports you want the marks less than 50% to be red, higher than 80% to be green and perhaps a variety of colours in between. The manual process is tedious (and prone to error). 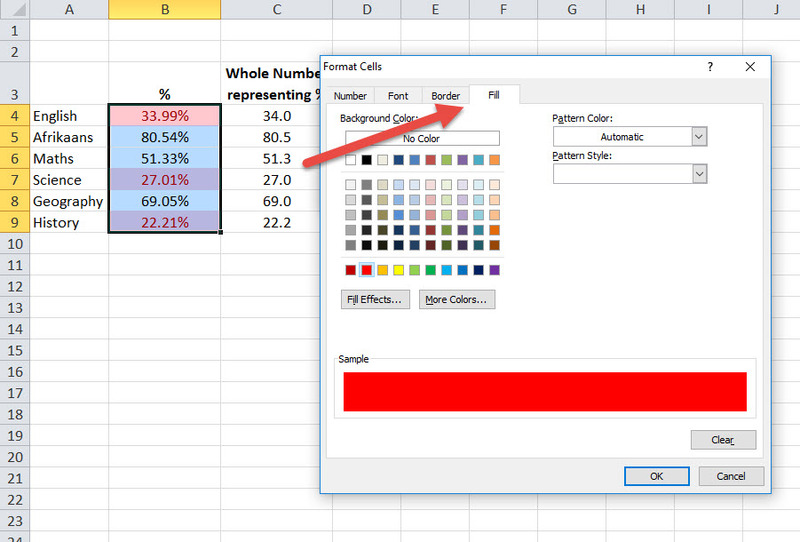 But Excel can automatically change the cell color based on the value of the cell. 1- Highlight the cells as shown below, i.e. 4- Then you can say OK until you are back in the spreadsheet. 5- To add the next colour you do the same thing again i.e. 7- You can add as many as you want by repeating this process.